December 3, 2018 Battlefield V: Chapter 1: Overture is now available for download, including the all-important ray tracing patch. 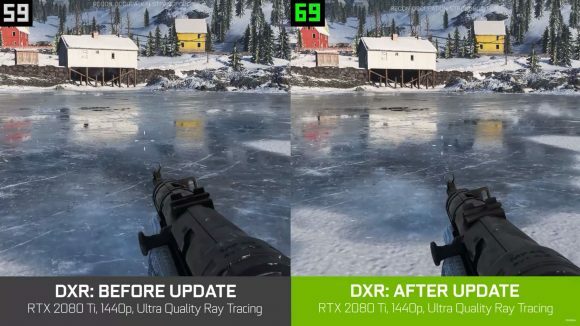 Nvidia has been promising that the ray tracing performance of its 20-series graphics cards would improve as the partnership with DICE on Battlefield V entered the optimisation stage. 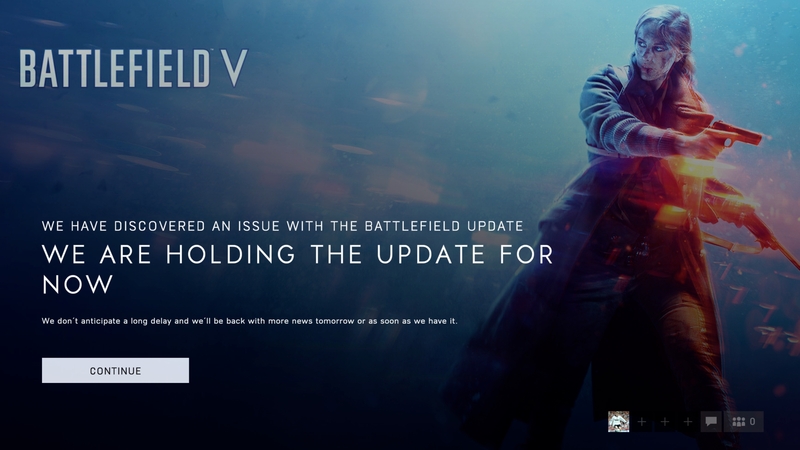 And the Battlefield V: Tides of War Chapter 1: Overture update has now launched to not only bring an unholy number of colons to the game, but also GPU improvements making the RTX version of the game run much faster. DICE had announced in the game, and via Twitter, that it is holding the update due to an undisclosed issue. But not to worry, after just a brief one day delay, the update is now live to all users, promising big improvements to DXR implementation and resulting performance. That 50% performance increase is all according to DICE and Nvidia, obviously, but we’ll get a chance to put them to the test as soon as we can now that the update is live to all users and available to download through the game client. Nvidia highlights the fact the RTX 2070 will be able to nail a solid 60fps at 1080p using Ultra settings and with the DXR settings at Medium. That’s looks like a pretty solid showing from the lowest-spec Nvidia Turing GPU on the GeForce 20-series spectrum. The roll out has begun: #Battlefield players on PC can start downloading the Chapter 1: Overture update now! 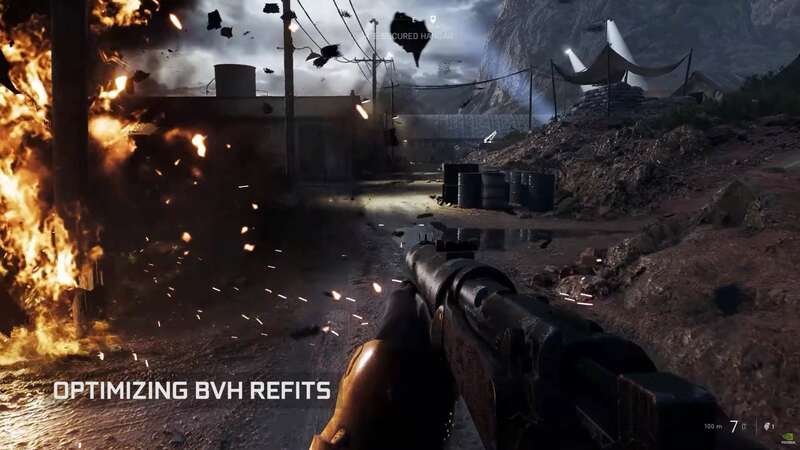 The performance improvements have all come from a host of optimisations and bug fixes which not only improve the actual frame rate of the game when using the RTX 2080 Ti, RTX 2080, and RTX 2070 graphics cards, but also improve the overall fidelity too. That’s a pretty heady combo. Much has been made about the performance of the 20-series GPUs with regards to the first flush of hybrid ray tracing, but the performance boosts achieved via some driver and engine-level optimisations shows that it definitely has legs even in this first generation of compatible hardware. It will be interesting to see if the RTX 2060 is allowed anywhere near ray tracing if Nvidia is able to hike performance even at the lower end. The performance boost is detailed in a recent blog post on the GeForce site, with a video also highlighting the different optimisations and fixes that have come into play. 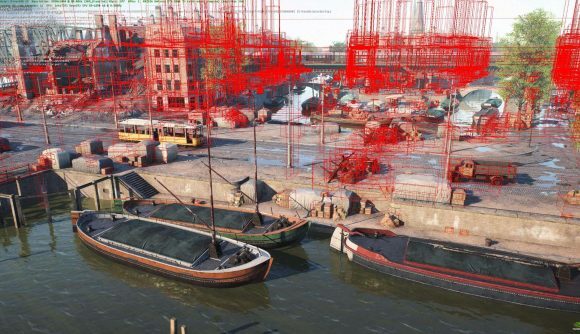 One of the key improvements in this update is the introduction of variable rate ray tracing. 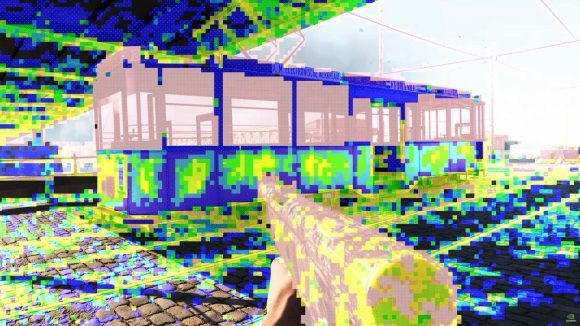 It seemingly works a lot like the variable rate shading Nvidia introduced with the Turing GPUs, in that it means the game engine knows where to focus the greatest number of rays. In the image below the areas shaded pink are where the most rays are aimed because those are the most reflective materials in the scene. 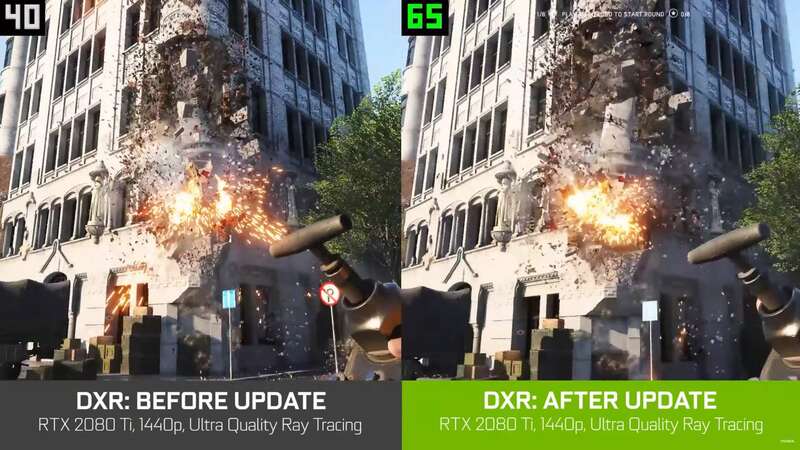 Nvidia has also worked with DICE to improve the denoiser and filters for ray tracing, and has worked to optimise the CPU and GPU performance with the bounding volume hierarchy (BVH) refits, to make ray tracing faster and more efficient. The destructibility of the Battlefield war zones has also had a massive impact on the performance levels of the 20-series GPUs when they’re ray tracing away. There have been extra shader optimisations, but also bug fixes to improve frame rates when things are really kicking off in an explode-y kinda way mid-game. One of the biggest problems has been the Bounding Box Bug. And lastly, in the leafier, bullet-riddled, nightmarish Battlefield V maps the foliage has been causing all sorts of ray traced issues. They were essentially doing too much, ray tracing all the exploding bit of tree, grass, and leaves in every puddle going. That had a huge impact on the pace of the game, while actually delivering very little in terms of the final visual fidelity of a scene. That’s all designed to bring us up to 50% extra gaming performance from the RTX 20-series GPUs from tomorrow, and I’m fascinated to see how close we get to 60fps at 4K Ultra settings. The RTX 2080 Ti already hits 36fps at that level, and any performance above that may actually render it almost playable. Fingers crossed when Shadow of the Tomb Raider finally gets its RTX in gear that it offers the same levels of performance optimisation too.